3rd Street Beat is the Naming Sponsor of the 3SB Creative Youth Centre in Edmonton, AB. Our shared long term vision with the non-profit society who fundraise for and operate the centre (the Youth Giving Back Foundation) is for this space to provide a world class facility for the performing arts & fitness. The CYC’s purpose is to serve as a community resource and gathering place where all art forms are celebrated and welcomed. In doing so enhance lives by placing youth in the right place at the right time with other like-minded youth who can express themselves freely without judgment. Ultimately inspiring teamwork building and confidence boosting through self-expression and social, creative collaborations. 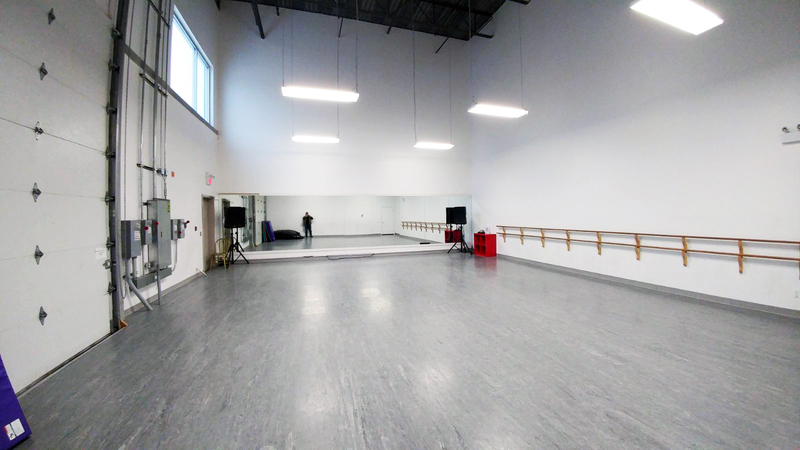 All our studios are equipped with one large wall of mirrors, heating & air-conditioning, & concert-grade sound system. Our largest studio comes with vinyl plank sprung flooring, 2-story high windows & an impressive 26′ ceiling for an abundance of natural light and space. 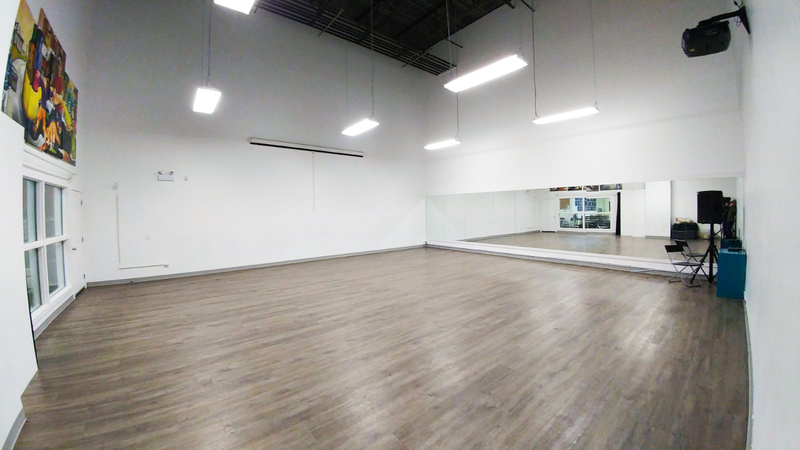 Capacity is recommended at 40 dancers/students to allow for comfortable movement. 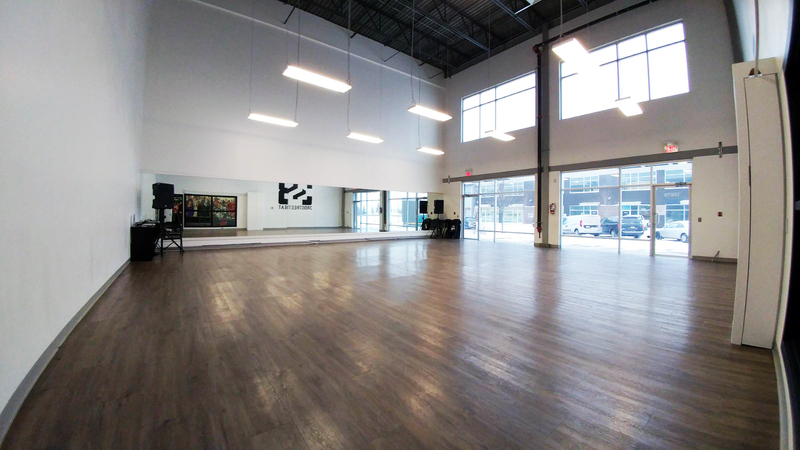 Our middle studio comes with an 85′ drop-down projector screen on the north wall, high-end projector, up to 30 folding chairs, vinyl plank sprung flooring, an impressive 26′ ceiling & viewing windows. Capacity is recommended at 30 dancers/students to allow for comfortable movement. 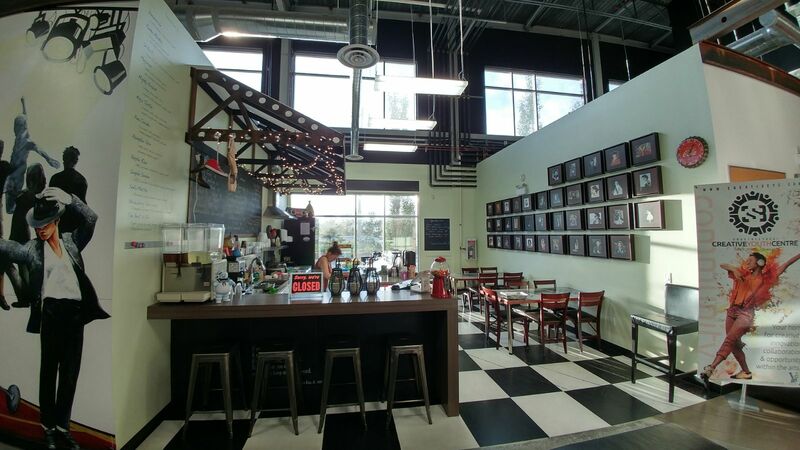 The Kick Café cafe is open during most class hours with a full menu of sandwiches, beverages, desserts and a wide variety of fresh smoothies. Having healthy options right in the studio is unique to 3SB. We would appreciate everyone’s support by not bringing in outside drinks and other fast food.